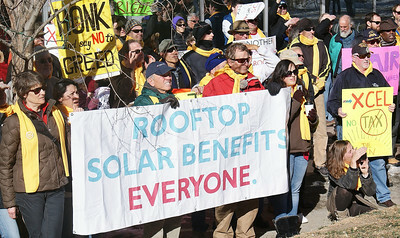 Rooftop solar energy supporters rally in Denver, before marching to the offices of utility corporation Xcel Energy, to protest the companies metering policies. 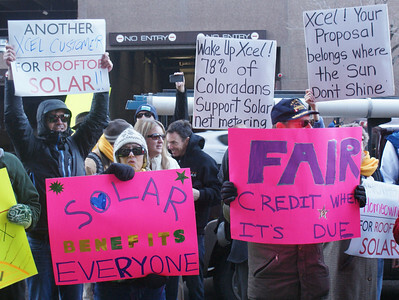 Colorado residents demonstrate opposition to utility company Xcel Energy's policies on rooftop solar energy, at a demonstration outside the company's offices in Denver. 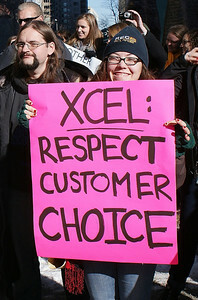 This demonstrator outside the offices of utility corporation Xcel Energy accuses the company of corporate greed. 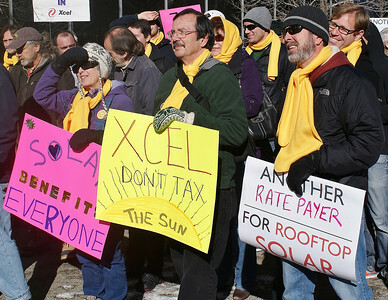 Rooftop solar energy supporters marched to the corporate offices of Xcel Energy to protest the companie's metering policies. 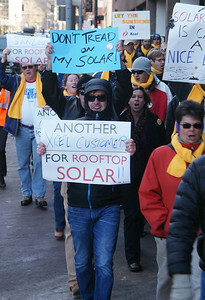 Xcel Energy customer demonstrating support for rooftop solar at the companies offices in Denver. 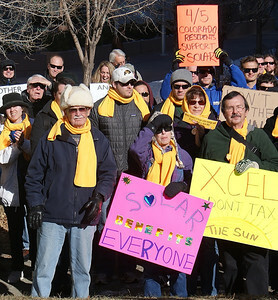 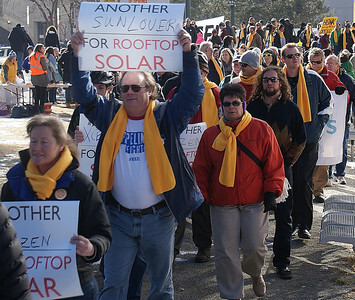 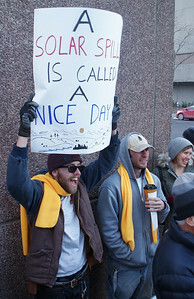 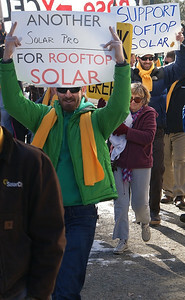 Rooftop solar energy supporters rally in Denver, before marching to the offices of utility corporation Xcel. 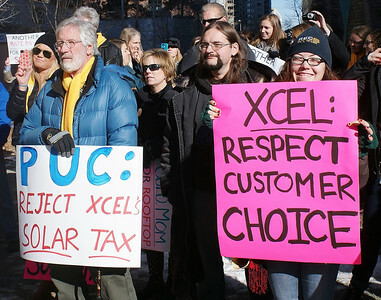 Customers of utility company Xcel Energy demostrate support for rooftop solar near the companies offices in Denver. 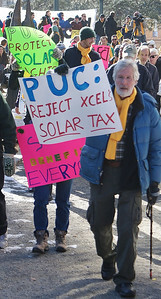 This VietNam veteran demonstrates support for rooftop solar energy at the Denver offices of the utility company Xcel energy, in Denver. 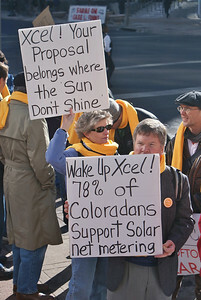 Rooftop solar energy supporters chat before joining a march to the offices of utility corporation Xcel, in Denver. 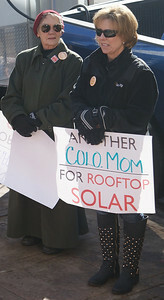 This Colorado mother shows her support for rooftop solar energy, at a protest at the offices of the utility company, Xcel energy, in Denver. 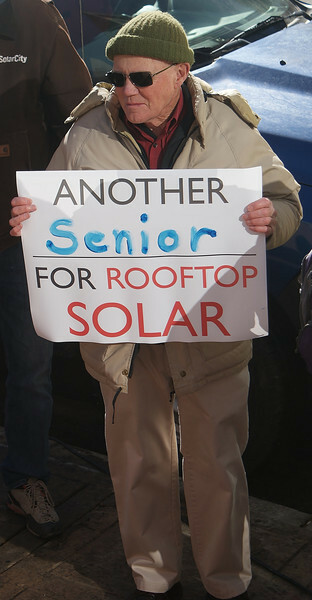 This Colorado man was among many seniors supporting rooftop solar energy at a protest outside the electric utility company, Xcel, in Denver. 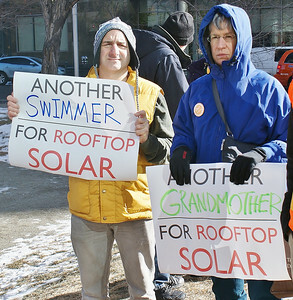 This grandmother was among protesters supporting rooftop solar energy at a demonstration near the offices of utility corporation Xcel Energy, in Denver. 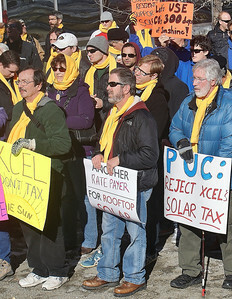 This woman, a renter, joins a march supporting rooftop solar energy, that ended with a rally at the offices of utility corporation, Xcel Energy. 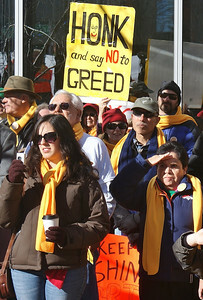 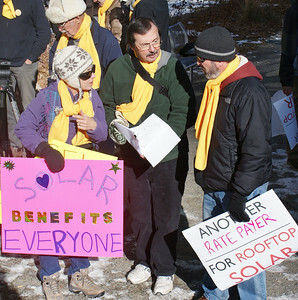 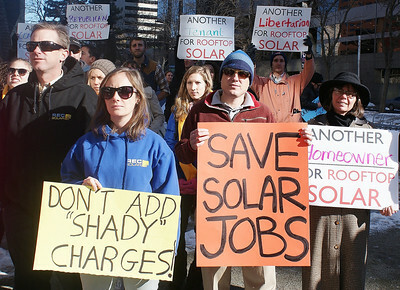 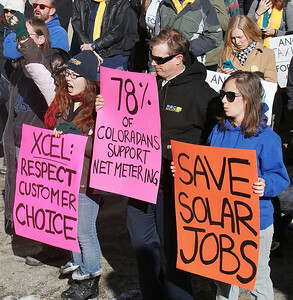 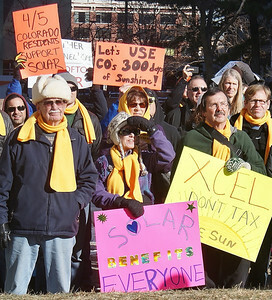 Demonstrators protest the policies of utility corporation, Xcel Energy at a pro rootop solar energy rally in Denver. 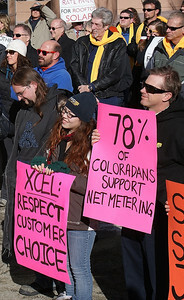 This solar energy worker demonstrates against the policies of utility corporation, Xcel Energy, at a protest near the companies offices in Denver. 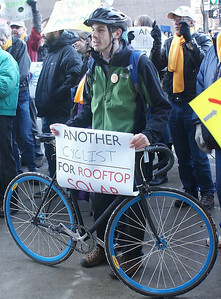 This bicyclist demonstrates support for rooftop solar energy at a protest in Denver at the offices of utility corporation Xcel Energy. 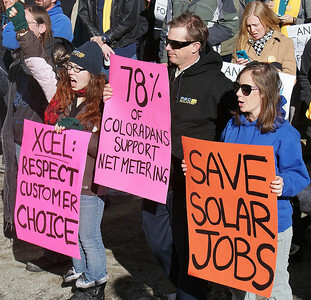 Woman in "sun" costume holds box of petitions supporting rooftop solar energy, to be delivered to the offices of utility corporation Xcel Energy in Denver.